Iran’s foreign minister calls for all “foreign elements” to leave Syria so its people can decide their future themselves. 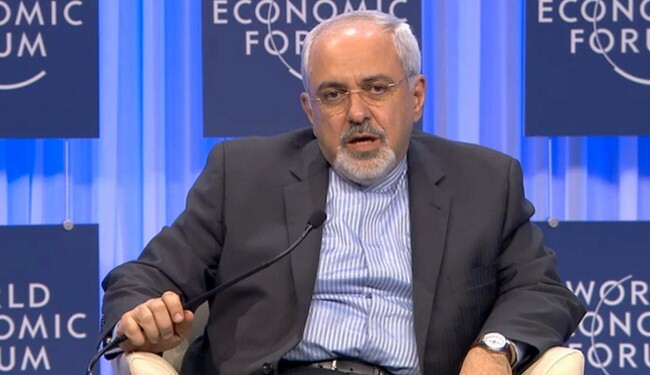 Speaking on a panel discussion about the Middle East at the World Economic Forum, Mohammad Javad Zarif said Iran also wants to see an end to foreign support for the militant groups fighting against President Bashar Assad’s government and a recognition by all sides that there can be no military solution to the conflict. He said Tehran hoped for a negotiated settlement. “I can ask all foreign forces to withdraw… to allow the Syrian people to decide their own future,” he said. He also called for foreign forces to “stop funneling funds, money and arms” into Syria. The situation in Syria had “created a breeding ground for terrorists”, he added. Zarif also called for an “end to the illusion that there can be a military solution” in Syria. Zarif said earlier that the Syrians are the only people who should shape their political destiny and future. He said it is very important for all countries in the region to work to avoid sectarian conflict.